Is “The Walking Dead” Worth a Watch? Last night AMC premiered, “The Walking Dead” based on a graphic novel of the same name. 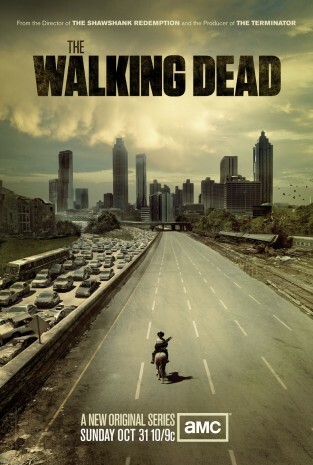 The series follows Atlanta police officer Rick Grimes after he awakens in a post-zombie apocalypse world. He must fight to stay alive and discover the fate of his family, all while never really knowing what happened. A show of this nature must be believable while staying true to the “rules” of the zombie genre. Director Frank Darabont does a brilliant job at pulling viewers in, and keeping their eyes glued to the television screen. Throughout the episode viewers begin to become acquainted with the characters. The story and character development are superbly executed in a way where the viewer feels as though they know each character by the end of the episode. After about 20 minutes I was gripped and pulled in to the point where I felt as though I was walking right along side Rick Grimes. Each shot clues the viewer into one more aspect of the world in which the survivors must live. The disturbing images and outstanding visual effects make the show feel real and beyond imagination. In a time where I feel television is shifting from scripted television series to reality shows (such as Jersey Shore), this type of quality programming is just what we need. When I watch premiers of new television series’ I often wonder, “How long do they expect to keep this up.” For instance, ABC’s drama FlashForward had a unsustainable plot, where the characters were trying to determine what happened when nearly everyone on the planet passed out for 137 seconds. This type of plot-line cannot be indefinitely held up and hence viewers stopped watching and the show was cancelled. After watching the first episode of “The Walking Dead” I was happy to conclude that, that was not the case. The potential for an outstanding series is there. With likable characters, an outlandish story, and a great setting “The Walking Dead” will be a show that I can easily see being a long run television series. 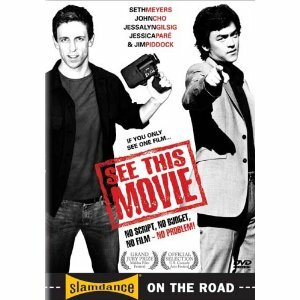 This is the type of filmmaking that directors should adopt, or at least take into consideration. A movie isn’t about a director, his style, or his celebrity status, its about the story that is being presented. One thing I admire about Frank Darabont is how he entered the film industry at the young age of 20. If you know what direction you want to take in life, don’t wait. Just do it. You’ll never know what doors will open up down the road.